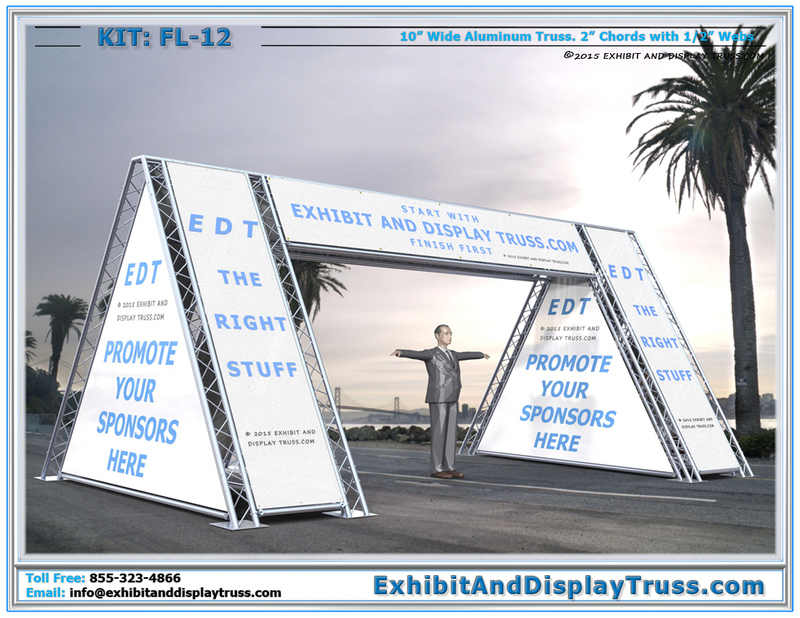 EDT Aluminum Truss is the perfect choice for designing and constructing marathon finish lines and starting lines. 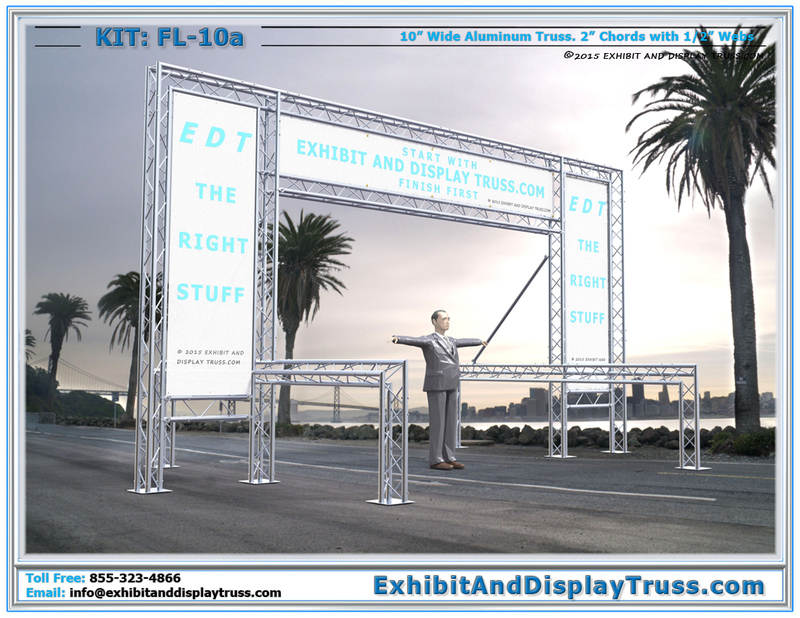 Its lightweight, easy to use durable and portable. Don’t get stuck with another deflated inflatable finish line that fails on site or won’t stand up in the wind. Professional, Exhibit and Display Truss.com Aluminum truss finish line kits from Light Design Systems can be easily transported to any race event site or marathon. 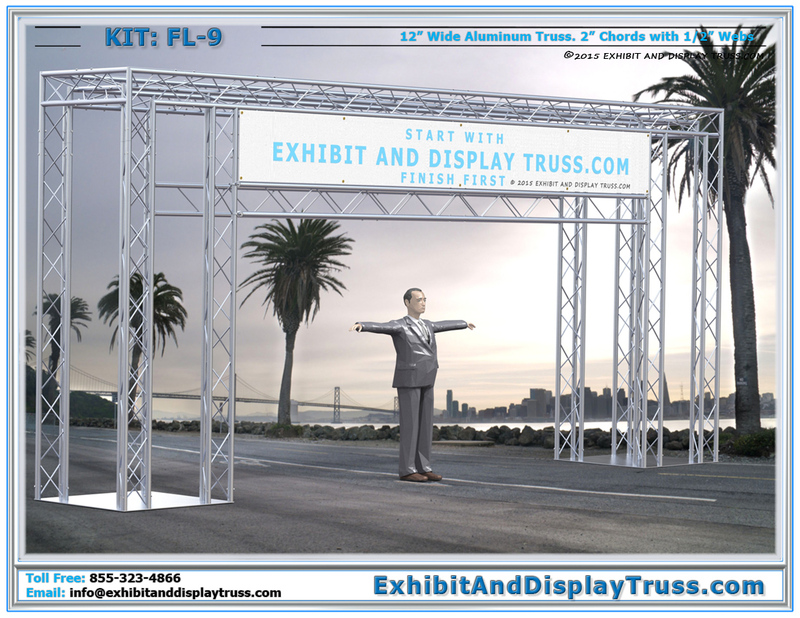 Our truss finish line and starting line systems are all designed from experience in the field and customer feedback. 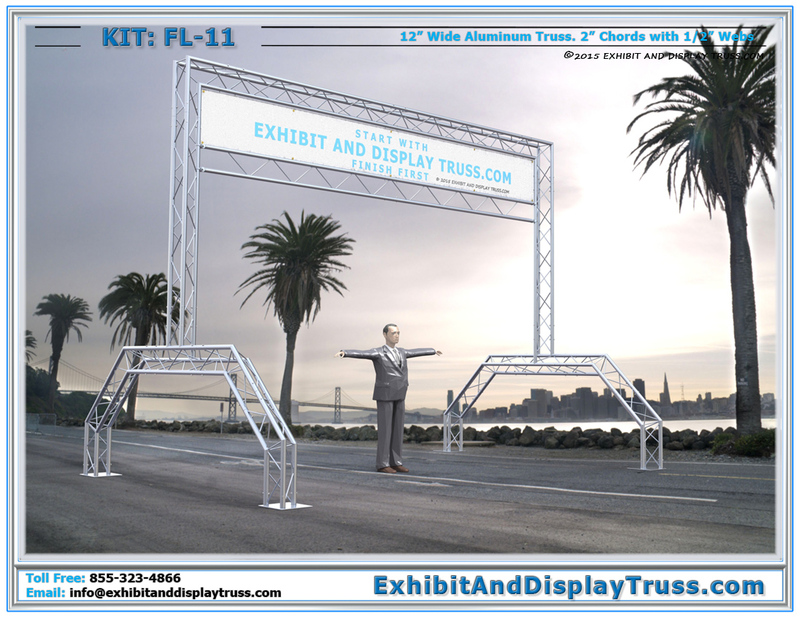 Perfect for marathons, triathlons, motocross races, and any other racing event. Custom fabricated finish line structures using Outrigger arms help to stabilize on uneven ground and large aluminum base plates for ballasting. 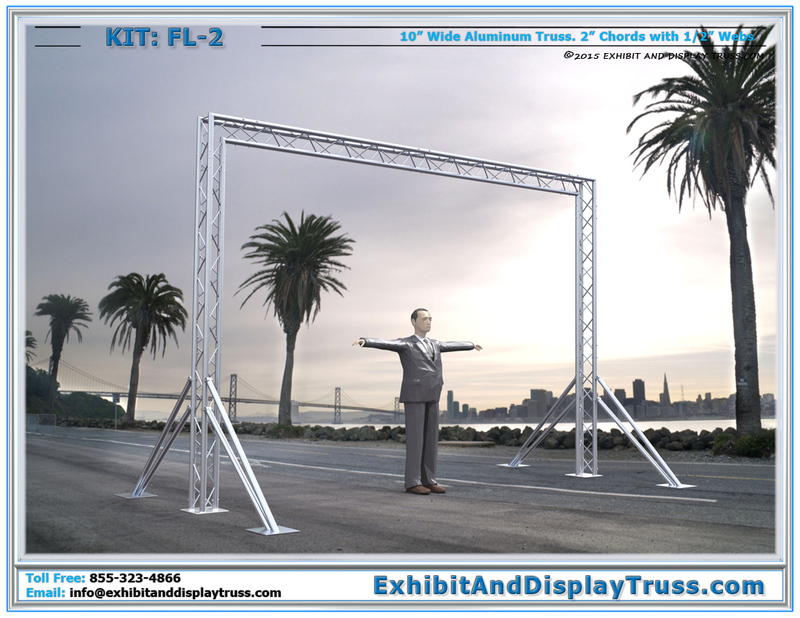 All of our portable finish racing lines below are available in 3 chord triangle truss or 4 chord box truss versions. 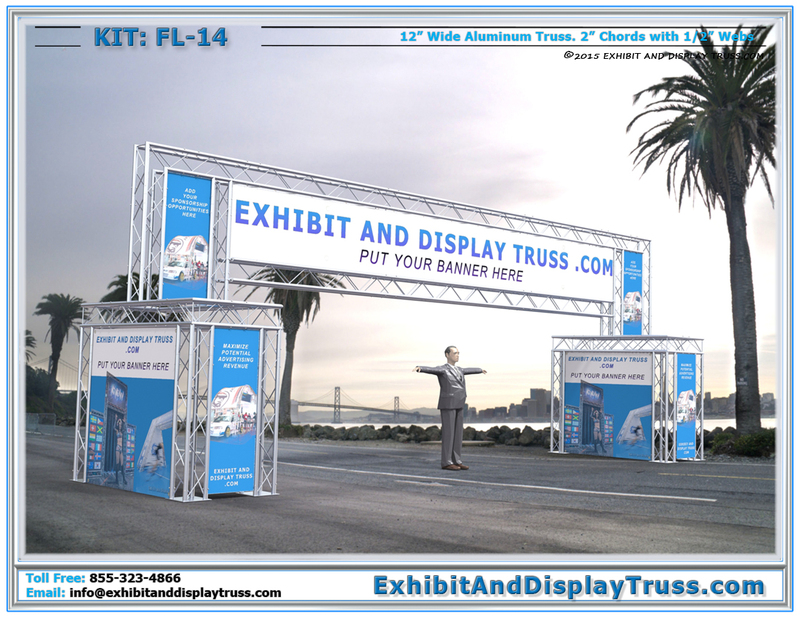 Perfect for hanging company logos, sponsorship advertising and banners as well as attaching timing clocks. Timing mats and other race timing devices all attach easily or lay comfortably between the truss uprights. All of the below gantry finish line portable archways can be altered to suit a specific dimension if you require, or we can design a custom truss structure to suit your finish line needs. We have plenty of finish line accessories to round out your event truss system. 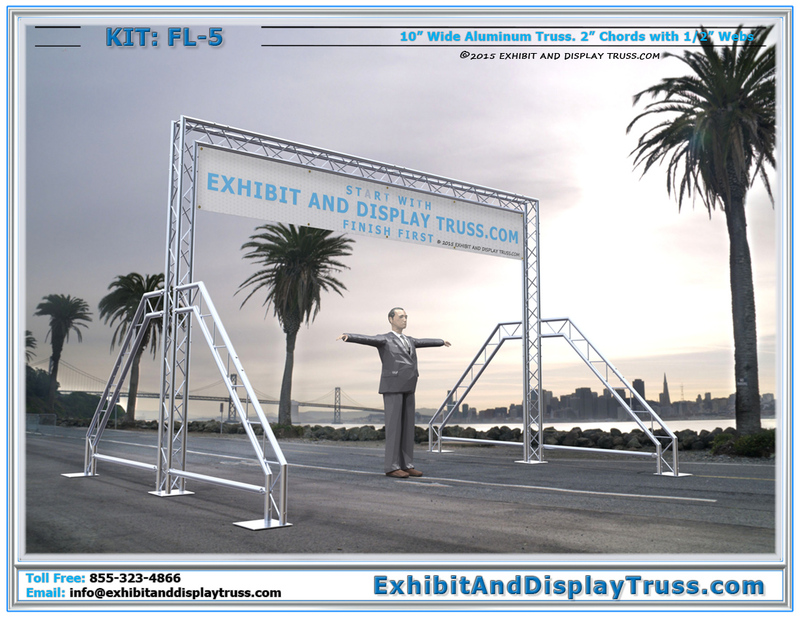 We are the industry standard for professional portable finish line and starting line truss systems. We can create any shape or size structure you like. 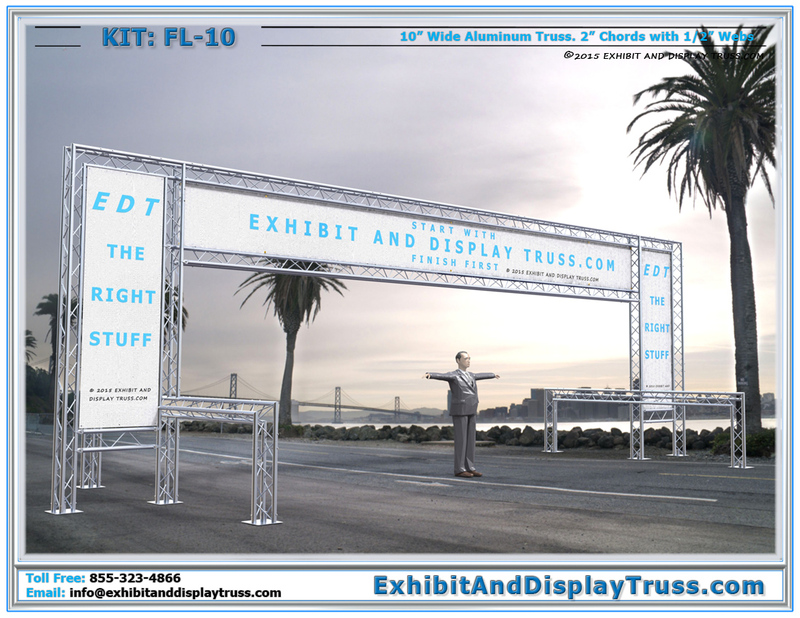 Just let us know and we’ll do up a design that meets your specific events needs. 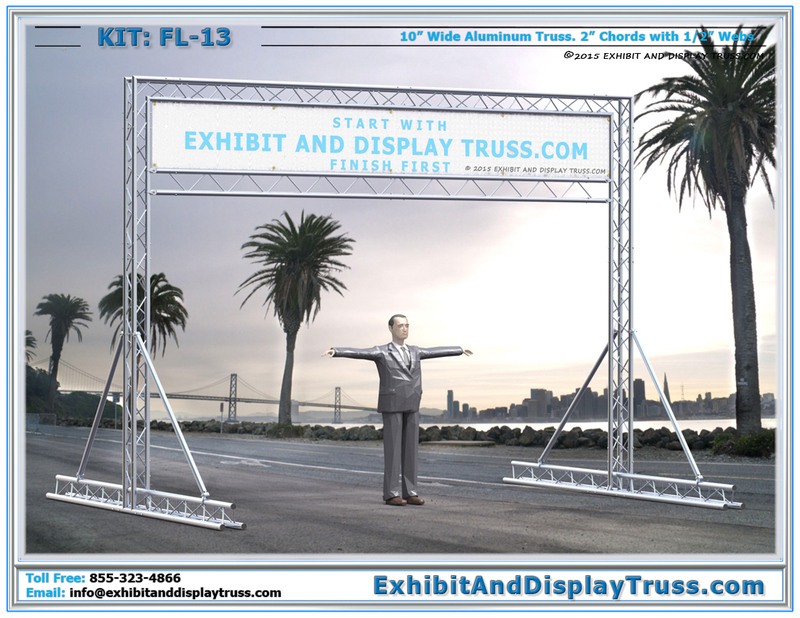 We’ll provide 3D CAD images and technical drawings for your team as a courtesy and to make you comfortable and excited about your new portable marathon finish line truss system. Visit our Youtube Channel and Photo Gallery for more information regarding our Finish Line Kits. 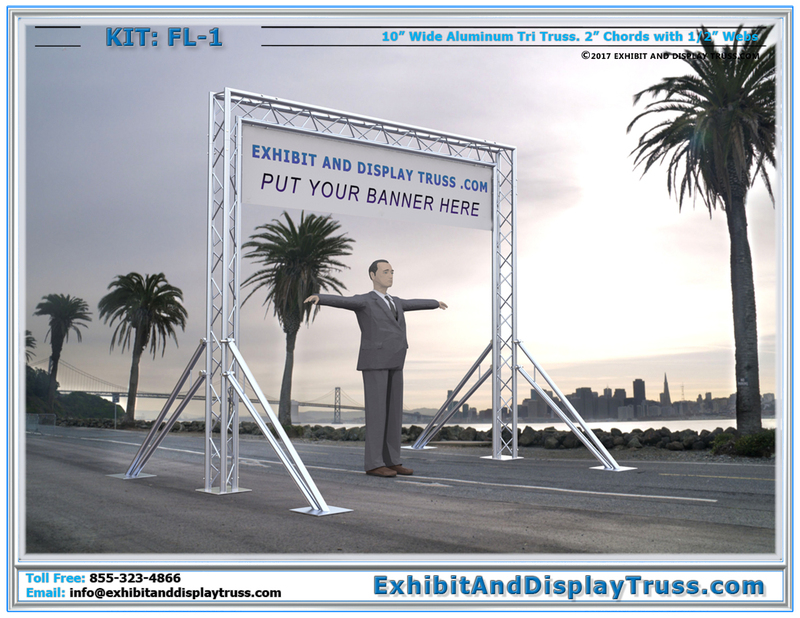 Click Here to see how to Maximize your Sponsorship Banner Display on Finish Line Kits.